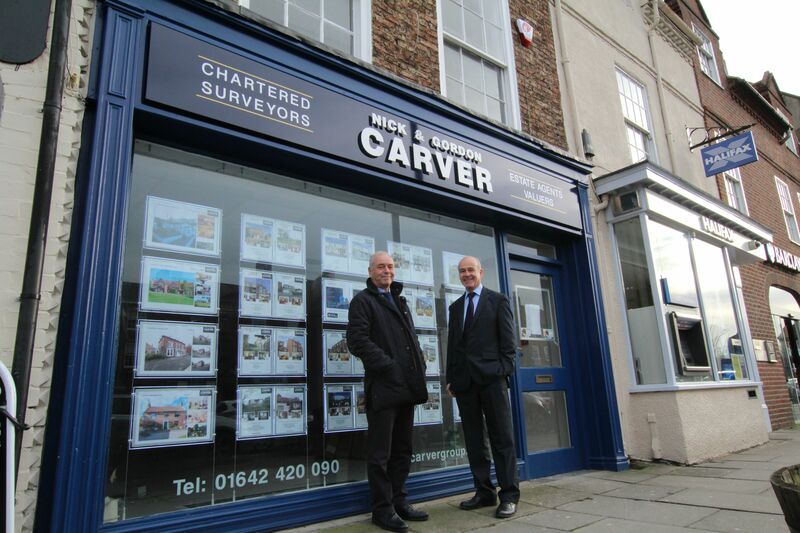 "SINCE opening in Danby Wynd in March 2015, Nick & Gordon Carver has gone from strength to strength securing business selling properties in Yarm and the surrounding district. So successful has this branch been that it has outgrown its existing premises in less than a year, resulting in a move to a prominent new office at 80 High Street which will open its doors on Monday, January 25. “The new office will complement our other offices in Northallerton, Hurworth on Tees, Darlington, Richmond and Newton Aycliffe,” say Nick and Gordon.“Our aim is to build our nationally- recognised award-winning reputation and to deliver the highest level of service to all our clients.” In 2014, the company was shortlisted by The Times and Sunday Times in the Northern Estate Agency of the Year Awards (small agency) and received the Silver Award in the North East & orth West combined category at the Negotiator Estate Agency of the Year Awards. To book your free market appraisal or discuss any of the above services, please call 01642 420090 or email yarm@carvergroup.co.uk"